There was alot of talk about the weather last year at the Symposium and challenges with the mold, Botrytis. Optimum temps for mold growth on grapes are 75-82 degrees F. I don't blame the mold. Those are my optimum temps also. Above 95 degress, the mold dies. Last year was optimum for growth. Usually it is warm enough that Botrytis is not an issue. The mold can be controlled if you start spraying early enough and about 4X during the growing season. However, if you are not expecting the issue and don't spray early, it rapidly takes hold and can't be stopped. Apparently the mold starts on the decaying flowers from the grapes and then gets into the clusters, especially if the berries are close together. It works from inside to out and within a relatively short period of time, the berry cluster turns to mush. Oh, the joys of farming. We were told to spin last year as exciting not challenging. Marketers can do a lot with words to create images. Actually last cursh was exciting. I had to use different methods during the fermentation process and the wines have been lovely flavors so far. Time will tell and we will watch the wine develop. I will interview growers from both Calaveras and Amador County and get their take on last year and what they did in the vineyard. I'll let you know. Pressing the Zinfandel went well. We now have close to 450 gallons of nice wine that will be ready in a year and a half. We will rack it 2-3 times to remove the sediment and put it into barrels soon. We did some barrel tasting during a break in pressing. Yum! The wine certainly improves in the barrel. Our wines in the barrel from 2010 will be bottled in March 2012. Looks like we will be crushing the Sangiovese on Monday, Nov 7th, and the Malbec on Nov 8th. I will be adding yeast and doing the chemistries on the following couple of days. These will be the final grapes to crush. What a year! We have never had to wait so long for the grapes to ripen, but so far so good. The flavors are great. It will be interesting to see what the final brix will be on these last 2 grape crushes. We have waited this long because both were at a brix of about 23.4, which is lower than we usually pick. However, we can't wait any longer with the cool weather and possibility of rain. Both of these varietals usually "brix up" overnight (meaning brix increases 1-2 degrees) , so we expect the wine to be fine. Although the Barbera came in with lots of rot, we were not alone. Botrytis (rot) seems to be a problem throughout the state. So far we have been careful to add plenty of nutrients for the yeast since the rot can consume them too and leave a stuck fermentation (residual sugar in the wine) if the yeast quit fermenting too early. The fermentation is going well, there are no off odors and flavors are so far good. We are sanitizing everything that touches the Barbera to prevent transfer of rot organisms, just in case. We will remove the juice either Thursday or Friday but not press the skins since that can markedly increase the release of harsh tannins and spoilage organisms. We will decide on the juice removal date this afternoon. Hopefully the brix will have dropped enough. Who knows, maybe we will have the best Barbera ever. The Zin didn't have rot issues so we will proceed as usual and press 7 days after crush which will be on Monday, Oct 31st. Looks like Sunday crush is off but we have a lot to do next week. On Monday, Oct 24, we will crush the Zinfandel. This grape will come from Amador County and usually gets here around 10 AM. Derec said he could help. On Tuesday, Oct 25th we will press the Grenache (and I will have to add yeast). On Wednesday, Oct 26th, we will crush the Barbera. And on Friday, MAYBE we will crush the Malbec. The Malbec is not confirmed yet but the rest is. Should be a busy week. Naturally, everything comes in at once. There may be a fungal problem with the Zin and Barbera. These grapes are head trained and don't get the air circulation some of the other trellising systems have. Thus with the rain, comes the fungus. The fungus can produce problems by increasing the number of unwelcome yeast and bacteria by breaking open the grape skins as well as during fermentation utilizing nutrients that are usually available for the yeast. It is all manageable but we will see what happens with the results. Always something new to learn. We could do with a year or two without something new to learn. Oh well. This is definitely a strange year. I am playing musical grapes with crush dates due to different changes in grape ripeness, etc. It looks like we will be pressing the final grapes into the second week of November. This is a record for us. During our 15 years of making wine here in this area, the latest was the end of October. However, if things continue to move along, it should be a great harvest with super flavors. The Syrah is fermenting nicely with great colors and flavors. Looks like we will press it on Monday, Oct. 17th. It is a bit of a messy job but fun to watch. As a matter of fact, both Tasha and Cari were covered with skins and juice as our press spit out pressed berries. I will sample the Grenache and Malbec on Sunday, Oct 16th. If all goes well, we will crush Grenache on Tuesday, Oct 18th and the Malbec on Thursday Oct 20. I'll let you know for certain about the crush on Sunday after I sample. I sampled grapes yesterday. It looks like the rain postponed the crush of some varietals. The brix on the Zin was way low and we won't get to that grape until the end of the month. I will sample the Grenache and Malbec again on Sunday but, so far, it looks like we may be able to crush the Grenache on Tuesday, Oct 18th and the Malbec on Thursday, Oct 20th. More to follow 'cause crush dates are always VERY flexible. I will post again when the crush date is confirmed. However, I am pleased with the grape flavors in the field and the Syrah we crushed tastes great. Looks like tomorrow is a go to crush 4 tons of Syrah. I sampled it today and although not quite the brix I wanted, it has very nice flavors. I think the sugars will increase with overnight soak. The rain changed things a bit but not much since there was not much flavor dilution in the berry. We are looking forward to getting started with the reds and getting crush into full swing before it cools down again. We will get the grapes from Canterbury Vineyards between 7-7:30 AM and probably start crushing around 8:30 to 9 AM. We are off and running! 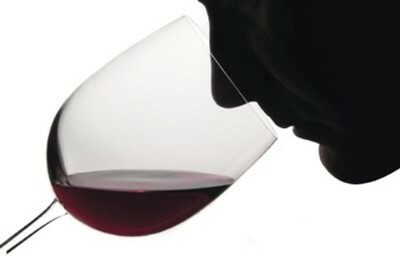 We are bringing back Wine Aroma Exploration! Open to anyone who wants to come explore and learn about the different aromas of wine and chat with our winemaker. These community education workshops encourage people to be curious and get engaged in the world of vino. 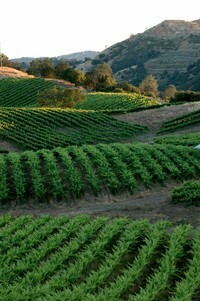 We will be featuring them on wine club pick up weekends in the Toscano Room (upstairs tasting room). So if you are in town during Grape Stomp, come test out your sniffer!